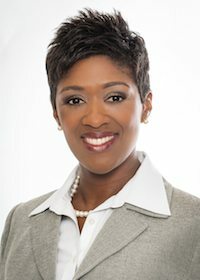 Ward Black Law is pleased to announce that our very own Afi Johnson-Parris has been elected President of the Greensboro Bar Association (GBA) for the 2015-2016 term. The GBA has more than 800 members. As a long-time member of the Association, she has served in many capacities, including newsletter editor, board member, and chair of the Legal Aid Fundraiser committee. Johnson-Parris gladly accepted the nomination of the GBA nominating committee (comprised of past presidents and other members) for president-elect last April. Her term as president begins on June 1, 2015. A native of Newport News, Va., Johnson-Parris moved to Greensboro with her husband and two children in 2006. She is a 2002 graduate of the University of Virginia School of Law and a published member of its Law Review. Ms. Johnson-Parris attended the University of Miami on a ROTC scholarship and graduated in 1994 with a BBA in Computer Information Systems. Before law school, Johnson-Parris served her country as an officer in the Air Force and earned an MBA in Technology Management from the University of Phoenix – Southern Colorado Campus. She is now a board-certified family law attorney with additional focus in veterans disability. The GBA exists to promote excellence in the legal profession. Through monthly meetings, members are provided a forum for collaboration, fostering collegiality among the city’s lawyers and promoting the administration of justice. Johnson-Parris will plan and preside over the monthly meetings and coordinate community projects through the GBA committees. The association gives back to the Greensboro community through service projects such as building Habitat for Humanity homes, donating books to local school children, cleaning up parks, feeding the hungry and more. “I expect to continue and expand upon this service during my tenure, reaching even more people than we have in years past,” Johnson-Parris stated. As president of the GBA, Johnson-Parris will actually serve in three leadership positions. She will be president of the GBA Foundation, the Association’s charitable arm, and the 18th Judicial District Bar, which covers all lawyers in Guilford County as an entity of the North Carolina state bar. Whenever there is a vacancy for a judicial seat, 18th Judicial District members meet with possible candidates and vote to select the top candidates whose names are then recommended to the Governor for selection. Because the public does not vote for judicial appointments, it is a responsibility that Johnson-Parris will not take lightly. Johnson-Parris says her largest focus areas for 2015-2016 will be community impact and member engagement. She is excited to adopt a signature pro bono project for the GBA to assist individuals in obtaining expunctions of criminal records and she plans to expand the GBA day of service. This event sends member-volunteers to different community agencies to complete service projects in a day.